Traces of human presence fund on his oasis go back to Paleolithic and neolith. In result of research conducted on northern coast of the Moeris lake by Gertrude Caton-Thompson i Eva W.Gardner in 1924-26 there were found a dozen or so chambers pointing at early-agricultural settlements. Canton-Thompson distinguished also so called Fayum B culture that she believed was chronologically next in this area. Following examinations, however, proved that Fayum B war earlier and is just a reminder from epi-paleolithic populations. During next years many expeditions were carrying out explorations in the area of Fayum Oasis thus making Canton-Thompson’s conclusions more and more precise. 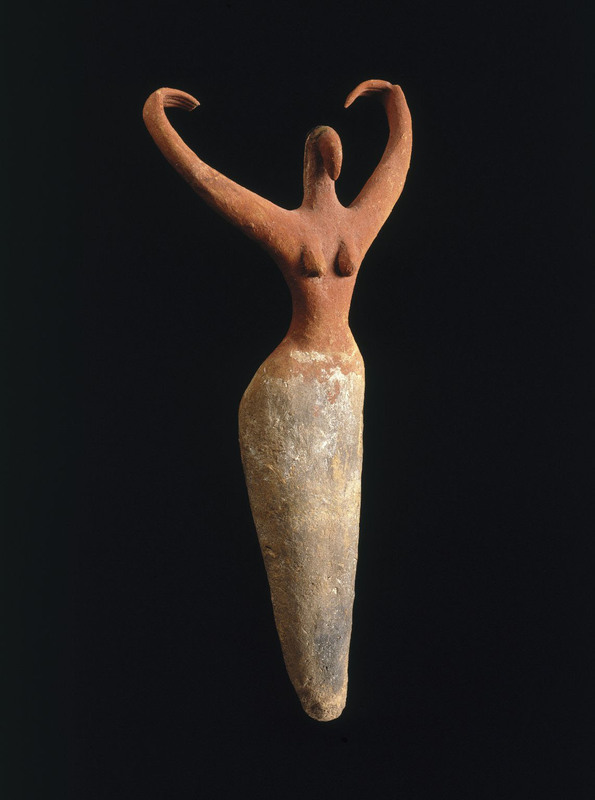 It seems that Fayum A is the Oldest Neolithic culture in Egypt. The earliest no calibrated C14 date is 6480±170 B.P., while the newest is5540±70 B.P. This data allow to calculate that this culture was developing around 5300/5200-4500 BC and settling down in the oasis in times of later phase of neolith took a considerable time. Younger phase of neolith in Fayum oasis area timed from 5410±110 B.P. to 4820±100 B.P. which means that it was developing around 600 years and places it between 4400-3800 BC. Merimde Beni-Salame is an archaeological site placed ca. 60 km north-west from Cairo and discovered by Hermann Junker while making explorations in 1927-28. The Merimde is considered by some scholars to be older than Fayum A. The oldest date obtained for the layer I is 5890±60 B.P and the latest from layer V is V 5590±60 B.P. One can assume that this complex was developing in first half of Vth millennium ca. 5000/4900-4500/4400 BC. El Omari is a complex of archaeological sites north of Heluan and named after Egyptian geologist Amin el-Omari who discovered it. Excavations, started in 1925 by Paul Bovier-Lapierre and continued in 1943 by Ferdinand Debono, showed presence of Low Egyptian culture at this area. Its dating and place in relative chronology are not precise and clear. 6 carbon samples from younger phases provide information for B.P. dating of 5740±80 i 4790±60. 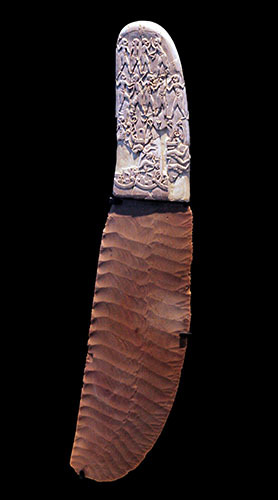 The Omari culture developed thus between 4700/4600 – 4400. Archaeological site located in southern suburbs of today’s Cairo. It became subject of examinations in 1930-35 carried out by Mustafa Amer and Oscar Menghin from Cairo University. On breakthrough of seventies and eighties examinations on this area were carried out by Egyptian-Italian mission. The Maadi culture, named also Lower Egyptian, later was connected to the Buto site and then recognized as culture comprising not just Delta but also the whole northern Egypt. 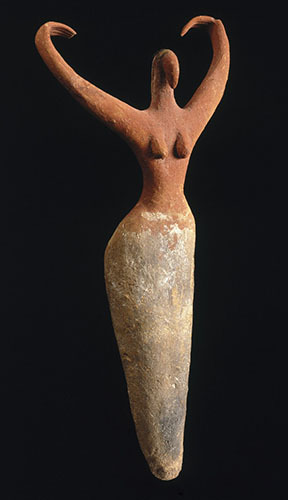 Dating from previous search from the Maadi settlement oscillate between 5055±55 B.P. and 4730±60 B.P which after calibration points at years 3900-3600 B.C. Deir Tasa is eponymic site of still controversial culture of Tasa, located on eastern bank of the Nile and discovered by Guy Brunton in 1927. On a graveyard there were found 40 graves belonging to Neolithic culture of the Upper Egypt. Tasa culture is considered as initial phase of the Badari settlement. In 1985 Kaiser showed that Tasa is original culture different from Badari and begun earlier. In his opinion, despite lack of any radiocarbon dating for this site, this culture should be placed in last quarter of the 5th millennium. The El-Badari site, is located on eastern bank of Nile and examined by Guy Brunon in 1922-25. half of 650 tombs found then is dated back to the Nagada I-III culture. The remaining ones, that did not have their equivalents at the moment of discovery, gave reason to mark off the Badari culture. Badari is best known at the northern part of Upper Egypt, the area between Nubt and Abydos. All over remaining places of Upper Egypt it coexisted with Nagada culture at least in its later phase. Based on radiocarbon dating from Hemamija (5110±160 B.P. 5290±130B.P.) Fekri Hassan suggested that Badari culture existed ca. 4400 a 3800 B.C. However doubtless coexistence of Badari and Nagada I Gould rather point at 4100-3800/3700 B.C. Site of first phase of Nagada culture located 9 km north-east from Abydos and examined In 1899-1901 by David Randall-MacIver and Arthur C.Mace. Graves on two graveyards date to all phases of Nagada culture although most of them belong to earlier ones. Graveyard explored by Gerald A.Wainwright in 1910-11 and located at the area of Fayum, ca. 5 km east from pyramid of Meidum. There were 250 graves from pre- and early-dynastic periods found there. Complex of vast sites located on western bank of Nile, 27 km. north from Luxour, opposite to Wadi Hammamat mouth. Most important works on this area were done by William.F.Petrie in1895. Next was Jacques de Morgan who in 1896 described mastaba from I dynasty dated to Aha's rule. Following excavations were carried out by Thomas R. Hays in 1975-77 , Fekri Hassan in 1978 and Claudio Barocas in 1978-84. 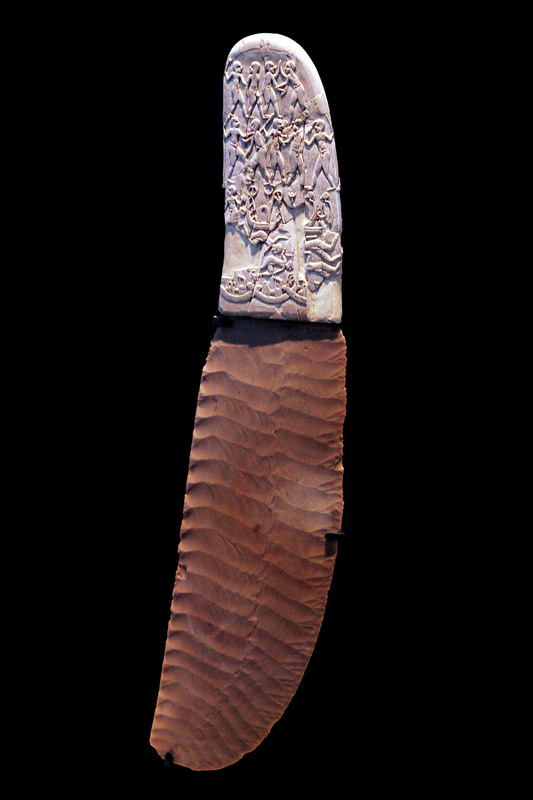 Most of radiocarbon dating for Nagada I and II come from main predynastic centers at Nagada and Hierakonpolis. Graveyards at Nagada provided among others dates: 5744±300 B.P. i 4720±310 B.P. Both come from graves dated sequentially at 34-38 and 58-67. The absolute date when Nagada culture started is 3800 B.C. while the ending falls tt beginnings of dynasty I rule. Low Paleolithic 700/500 thou. - 200 thou. Middle Paleolithic 200 thou. - 40 thou. Upper Paleolithic 40 thou. - 21 thou. Late Paleolithic 21 thou. - 12 thou. Epi Paleolithic Fayum B 12 thou. - 8 thou.